Maternity clothes? Not yet. I just can't bring myself to buy any maternity clothes because I feel like I can make my normal clothes work with a few minor adjustments ha. Miss anything? I miss having my strength in my stomach. I'm sure it is pretty funny watching me try to get up and down. Movement: Yes. Lots of rolling around, kicking, hiccups, you name it! Anything making you queasy or sick: Still some foods and showering after I eat. You look adorable! If my bump was that small I would be saving money on maternity clothing too! Love that kimono! You are seriously the cutest! 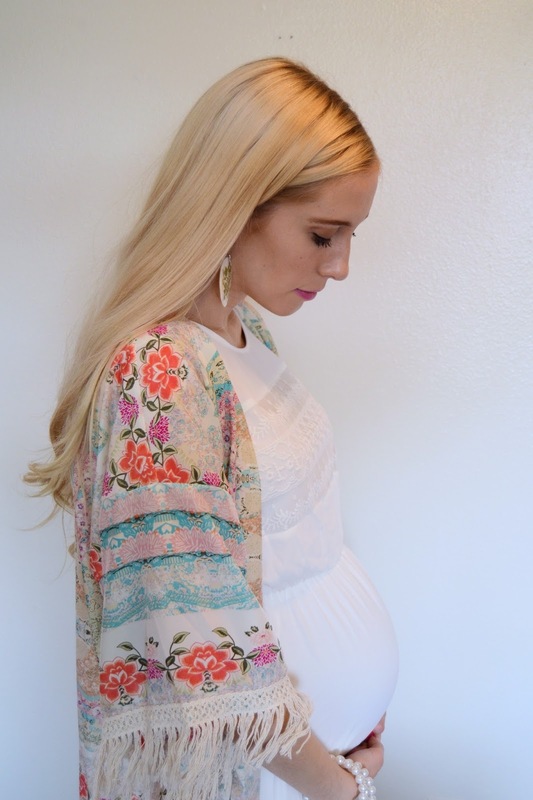 Love that bump and the boho feel of this outfit. Glad you are feeling and doing well. Awesome! Congrats on the pregnancy and your good health. Wish you a happy pregnancy and a healthy, happy baby :) Keep up the awesome updates! OOoh I can't wait for the hiccups! Omg you are so pretty! I'm glad I found your blog. And I can't believe you are so far along and not wearing maternity clothes yet, that's amazing! You are the cutest preggo!! Love what you are wearing! Glad to hear you are doing well! Love your photos! You are beautiful! 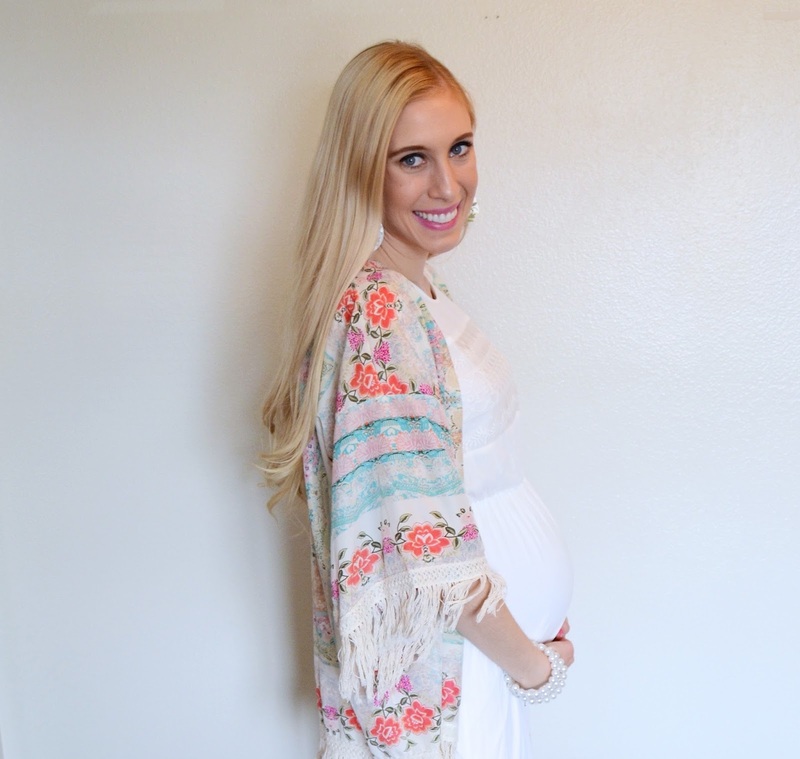 I love that kimono paired with the white dress! very stunning!